The Orion Molecular Cloud Complex has always been a source of intrigue for scientists. This complex is interesting to astronomers for a variety of reasons and, because of this, it is one of the most studied areas of sky. Most recently, scientists think they have discovered a black hole hidden within the nebula complex. There are a number of rapidly moving stars located within the Sword of Orion; it looks as if the cluster is flying apart. Our observations contradict our current understanding of star formation and are unexplained by the objects we can account for, obviously, we are missing a piece of the puzzle. 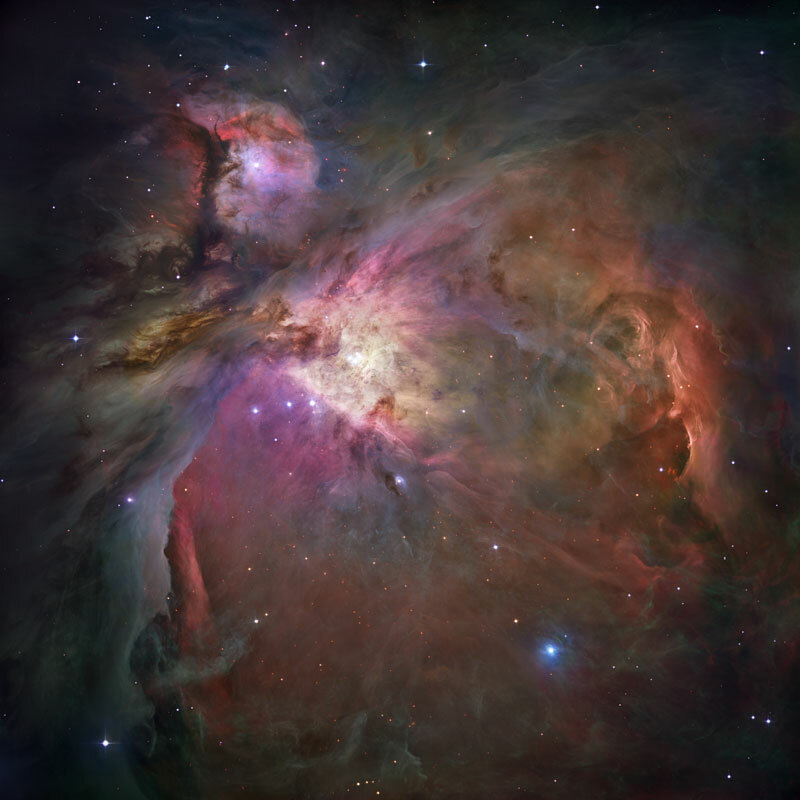 Using sophisticated computer modeling, along with trial and error, the researchers modeled a tight cloud of interstellar gas along with the right mix of stars depicting a younger Orion. Because of the high density of the stars in the cloud the calculations are very difficult. The nebula is very dynamic to begin with, a number of stars are thrown out of the cluster (explaining the fast moving stars we see) and some collided with each other forming a massive star. Eventually, this star becomes unstable and collapses to form a black hole about 200 times more massive than the sun. If there is a large black hole this close to home it would provide an incredible opportunity to study these objects.